The successor to the Omnia 7 handset has just been revealed by Korean handset maker Samsung. Called the Omnia W, the handset is the first Windows Phone Mango from Samsung. Just like the Omnia 7, the Samsung Omnia W sports a Super AMOLED display but unlike its predecessor, the display of the Samsung W is smaller at only 3.7 inches with 800×480 resolution. The Samsung Omnia W is powered by an improved 1.4GHz Qualcomm Snapdragon processor and will come with a 5-megapixel autofocus back camera capable of shooting 720p video at 30fps. It also has a front-facing camera, although its only of the capable of VGA resolution shots. The Samsung Omnia W will become available starting October in Italy and will be rolled out gradually in other parts of the world. Pricing is still unknown. 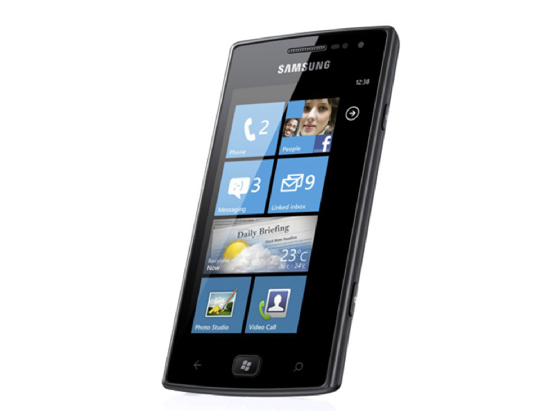 The Samsung Omnia W goes head to head with the HTC Radar, another Windows Phone Mango handset. Antagal naman neto maging available sa Pinas…anung petsa nah! pinaglumaan na siya ng panahon and all…halllerr! nice din ang samsung s II lte and samsung s II hd lte… 12k plus lng sa baguioshop.com nka post kasi eh dont know nga lng if brand new…. Is it already out in the Philippines? How much? This is why i love Samsung! Cool stuffs! is it out here in the market (philippines) ?